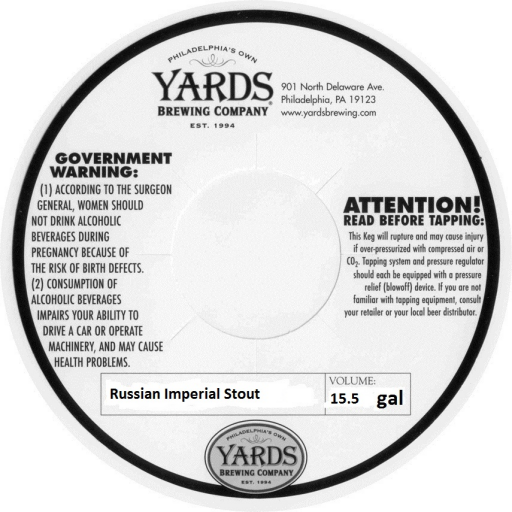 On tap at Poor Henry’s, vintage 2014 Russian Imperial Stout aged five years. Sly whiskey-dried burgundy wining guards coffee-roasted black chocolate bittering and contrasts honeyed Graham Cracker sweetness. In the recess, tobacco chaw, burnt toast and burnt wood nuances flutter beneath ashen hop-oiled smoked mocha pungency. On tap at Andy’s Corner Bar, fluffily cream-headed moderate-to-medium body delivers citrus-spiced Mosaic-Cascade hop zestiness and mild wood-dried Amarillo-Columbus hop bittering to biscuit wheat-honeyed English pale malting. Witheringly lemon-dropped mandarin orange, tangerine, pineapple and mango tang needs more punch. On tap at Benny’s Beer Barrel, ‘rowdy’ pale ale lets subtle candi-sugared Belgian yeast further sweeten tropical mango-peach-pineapple punch above lacquered pine hop oiling, sedate floral notions and pale rye wheat malts. In the backend, phenol lemon-peeled herbage merges with mildly oxidized astringency. Not as untamed as advertised, but enjoyably fruit-juiced.